Backpack day is more exciting than Christmas at Malachi’s Storehouse. Each year, providing the Malachi’s children with a new backpack to start school is an important way that Malachi’s has loved and supported it’s community. Help us provide each child in our community with a backpack that empowers and enables them to be equally prepared to learn as the rest of the kids in class. 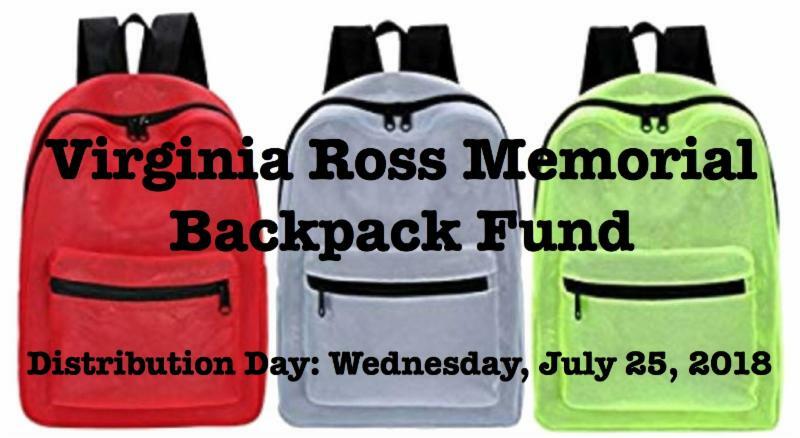 You con contribute to the Virginia Ross Memorial Fund or bring a new backpack for us to give away! Please have backpacks to the church by July 23rd. To give online, access Online Giving at www.stpat.net. If you contribute online, please use the drop-down function to access the Virginia Ross Memorial Backpack Fund.